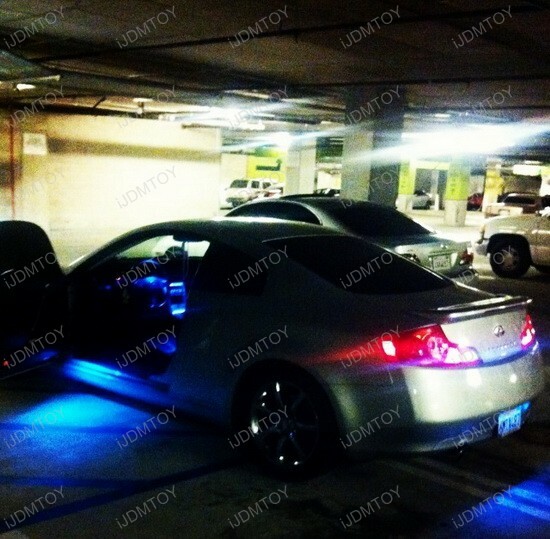 Today’s car is this Infiniti G37 Sedan – an extremely smooth vehicle with big improvement – LED Interior Kit. 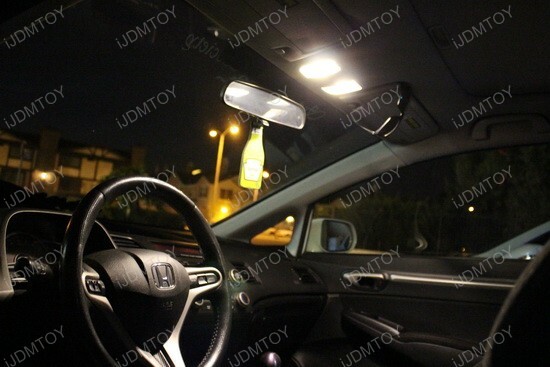 I can describe the final result as a great combination of performance and luxury. 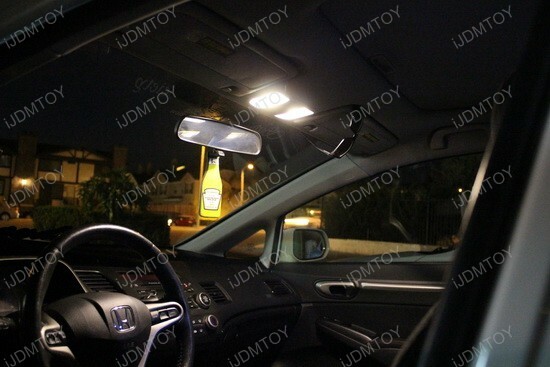 The car looks magnificent with the featured LED Interior Lights and gives the impression of a top-class luxury sedan. 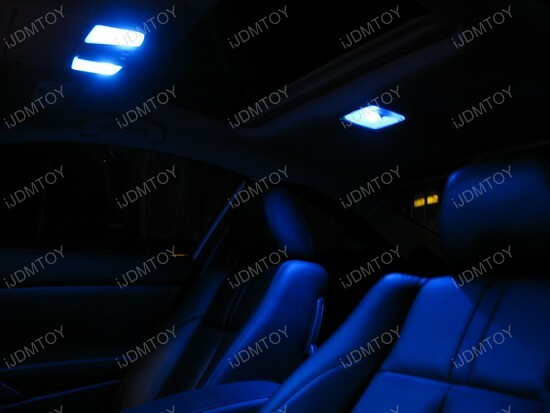 These LED Interior Lights give the final touch that makes this extremely smooth sedan stand out from the rest. 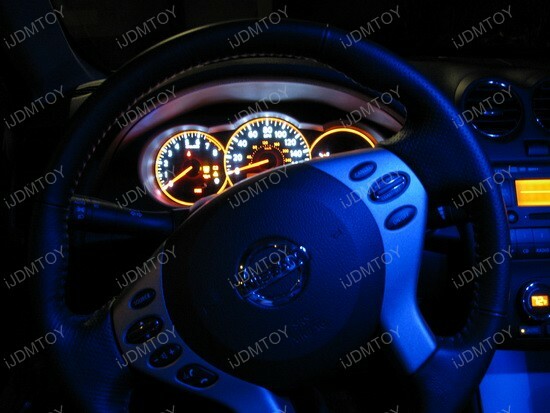 I bet the owner gets comments on it everywhere he goes, because of the awesome interior upgrade from iJDMTOY. 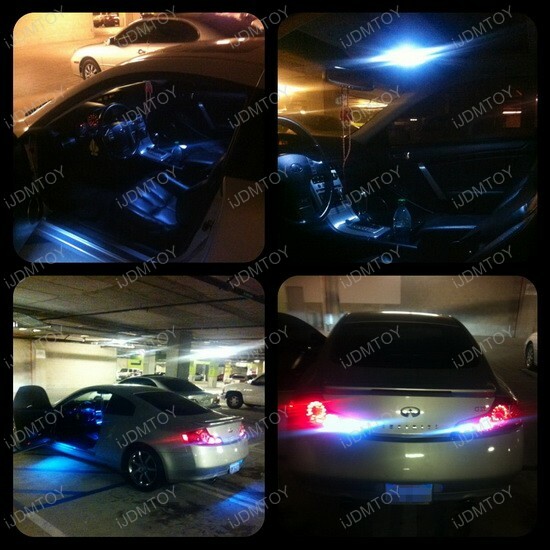 If you own a 2007 and up Infiniti G25, G35 or G37 Sedan Second Generation, then you should definitely give these LED Interior Lights a try. 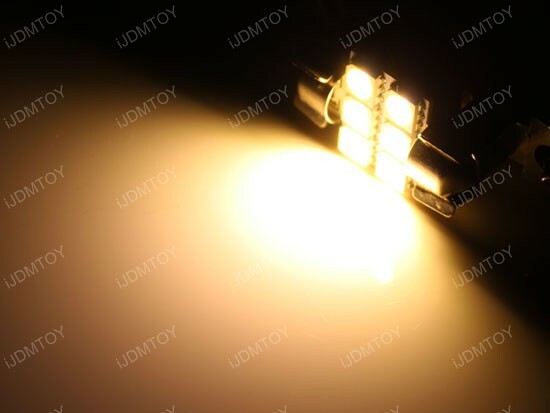 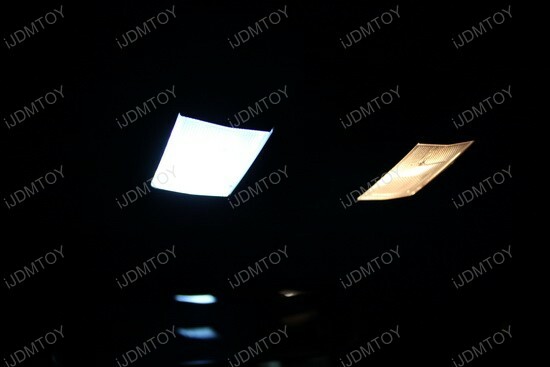 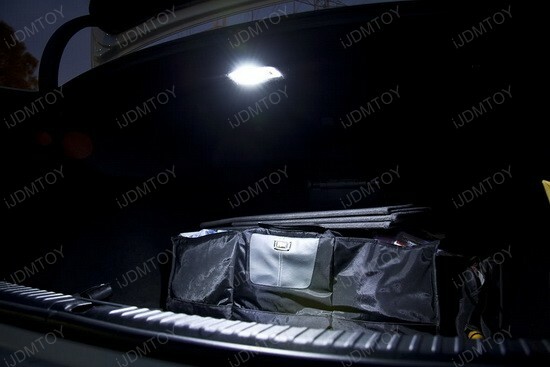 Take a look at the super bright 3-Cell 5050 SMD lights that are 3-4 times brighter than stock car interior lights. 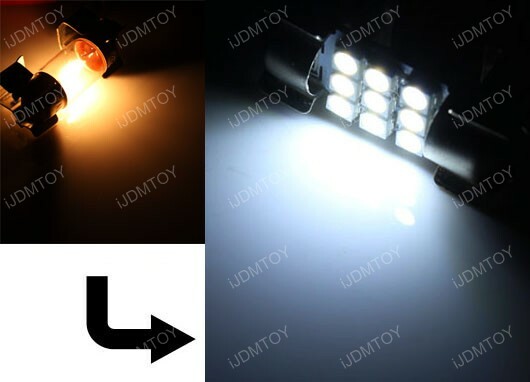 Wonder how to install this awesome product? 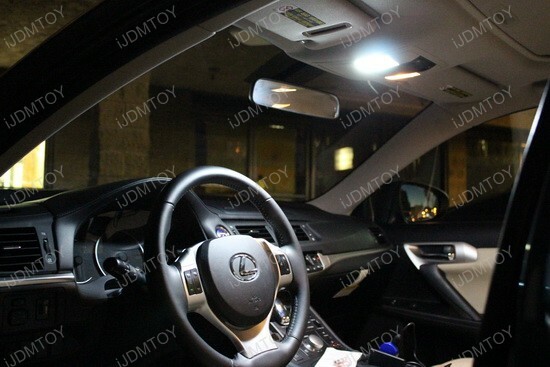 Actually, it is very easy – just unplug the stock bulb, plug in the correct LED light and once installed, you will notice the amazing difference in lighting output this LED Interior Kit provides. 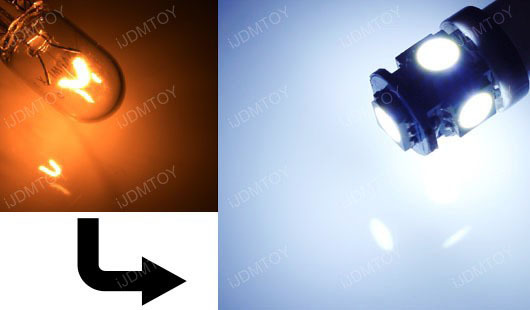 You can enjoy the longer lasting and energy efficient LED light in three available colors: xenon white, ultra blue or brilliant red color. 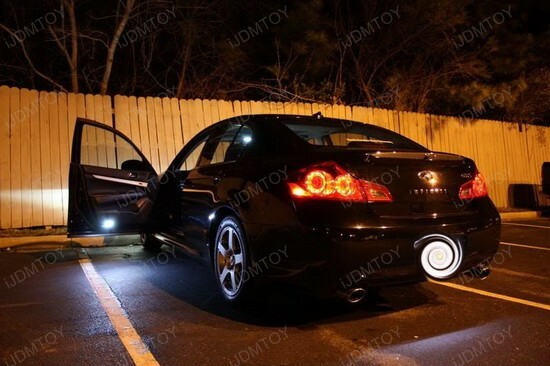 This top-quality set includes everything you need to dress up your ride – 2 pieces SMD bulbs for front map lights, 2 pieces SMD bulbs for rear dome lights and 2 pieces SMD bulbs for side door courtesy lights. 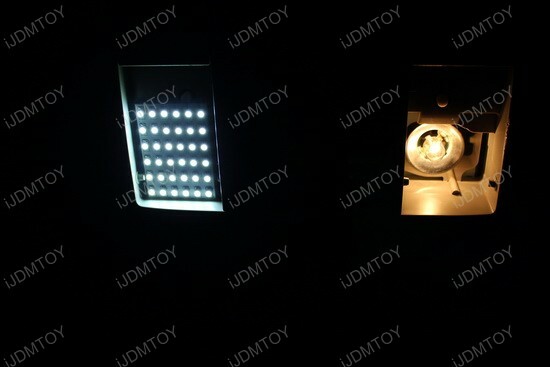 All you have to do is to get rid of the old yellowish interior look and replace it with a new, modern, hi-tech LED look from iJDMTOY that you will enjoy every time you slide behind the wheel. 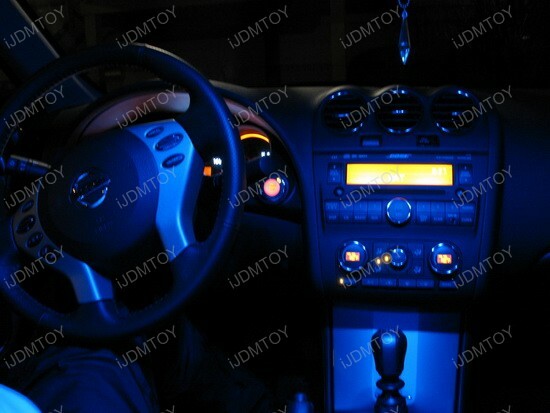 Infiniti G37 Sedan offers excellent build quality and handsome design that is underlined by the featured LED Interior Kit. 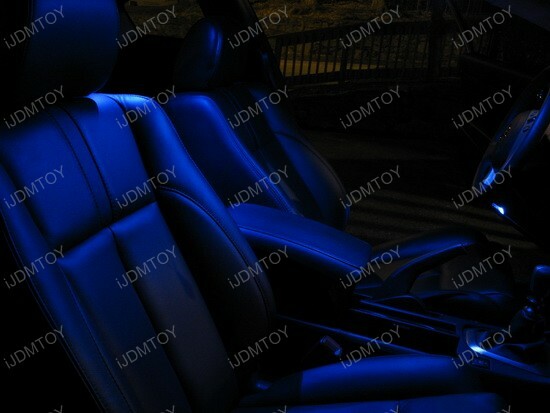 Check out the super bright light that comes from above and covers the comfortable and well-bolstered sport-styled seats, the leather-accented magnesium transmission paddle shifters and the Japanese "Washi-paper finish" aluminum trim. 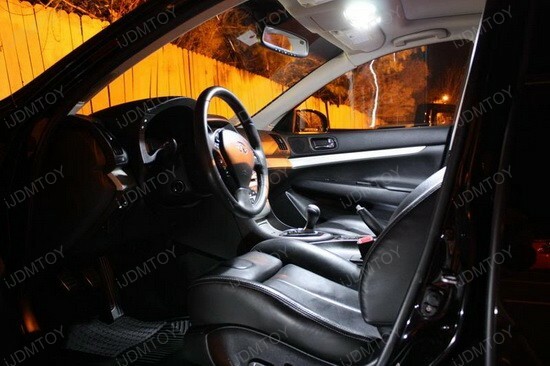 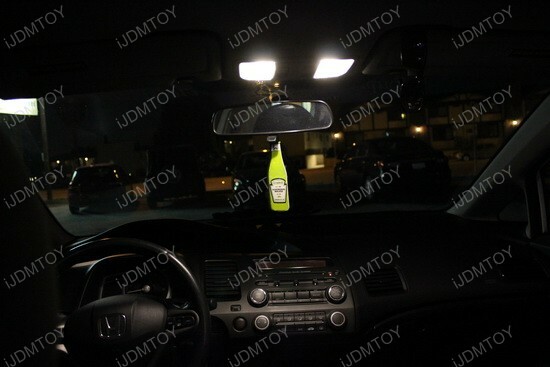 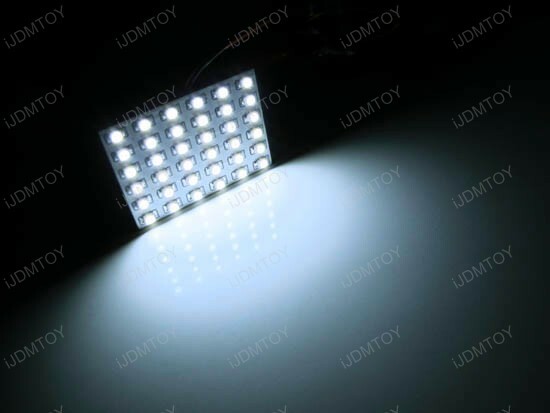 You can add a big improvement to your luxury car package with LED Interior Lights from iJDMTOY for just a few bucks and bring your Infiniti G37 Sedan very close to the Kaiser of the Klasse, BMW’s 3 Series.